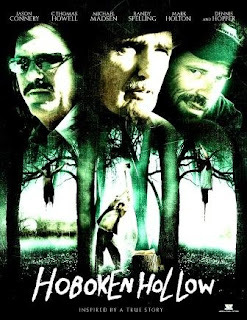 Hoboken Hollow is a disappointment. Trevor (Connery) is a war veteran trying to take life easy and hitchhiking his way to California. 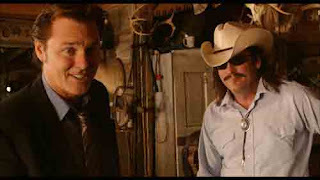 While hitchhiking, a trucker named Clayton (Howell) asks him for help on his ranch. Trevor agrees only if he can leave the next day. Trevor finds out very quickly that the ranch is filled with deranged lunatics who like to torture and kill their helpers. It's a good idea for a movie but it just doesn't work because the pacing is lethargic and the scares are minimal. Howell does a decent job as one of the killers, but Connery is wooden.